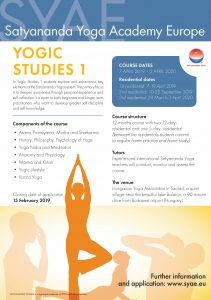 In Yogic Studies 1 course students explore and experience key elements of the Satyananda Yoga tradition. They are encouraged to develop all aspects of their being and to witness the natural process of change that occurs with regular yoga practice. The primary focus of the Satyananda system is to develop deeper awareness through personal experience and self-reflection. YS1 provides an understanding of yogic concepts and practice that can be applied in daily life. It is open to both beginners and longer-term practitioners who want to develop greater self-discipline and self-knowledge. Experienced Satyananda Yoga teachers and teachers/instructors trained in the Satyananda system of Yoga from Europe and Bihar Yoga Bharati (Institute for Advanced Yogic Sciences, India) will conduct and assess the course. Hungarian Yoga Association in Szolad, a quiet village near the beautiful lake Balaton, a 90-minute drive from Budapest airport (Hungary). Accommodation will be shared (two to three people to a room). Diet will be simple, nutritious vegetarian meals. 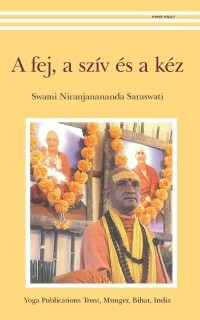 Copyright © 2018, Satyananda Yoga Foundation Hungary, All right reserved.